Design & Designer 021 – Roman Cieslewicz, official blurb: The first posthumous title in the Design & Designer monograph series, this book reveals the works of a major figure of contemporary graphic design. Funny, provocative, and sometimes uncomfortable or disturbing, Ciezlewicz's images leave no one indifferent. 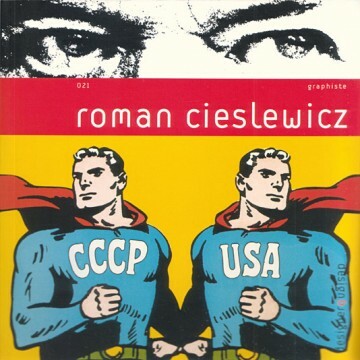 Roman Cieslewicz was a major figure in contemporary graphic design; his images are, and will forever be, of great inspiration. Born in Poland in 1930, he spent most of his life in France. Throughout his career, he displayed exceptional inventiveness: his posters, advertisements and book covers all made a lasting impression on graphic design. In parallel to his work as a graphic designer, Roman Cieslewicz executed personal works, using collage and photomontage to engage images in unusual associations.